MillCreek is a 100% waterproof basement flooring with a wood-like finish. MillCreek can be installed quickly by our experienced contractors, is easy to wash, and includes a 10-year limited warranty [PDF]. MillCreek Flooring™ combines all of the beauty and appeal of a traditional hardwood floor with a design that you can be insured is appropriate for a basement environment. Your basement floor will be better protected than it would be with hardwood, while its distinctive color and wood-like texture capture all the beauty of a natural wood floor. Call our company today for a no cost, no obligation, Free Estimate from on MillCreek flooring installation by our trained, certified specialists! 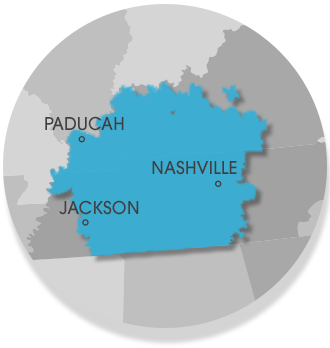 Our company provides licensed services by our professional contractors at an affordable price in Jackson, Nashville, Clarksville, Owensboro, Murfreesboro, Bowling Green, Philpot, Utica, Fayetteville, Marion, Franklin, Leitchfield, Paducah, Mcminnville, Hartford, Antioch, Shelbyville and many nearby areas in Tennessee and Kentucky.